Originally constructed in 1937 as the San Francisco Furniture Mart, the now renamed Market Square has been revitalized as part of a major resurgence in the Mid-Market area of San Francisco. The art deco building has been reconfigured and seamlessly merges state-of-the-art office space with an integrated ground floor community featuring the best of San Francisco’s food and retail purveyors. BCV was challenged with the renovation of the ground floor including a reorganization of public circulation through the building, as well as an armature to accommodate high-end restaurants and retail tenants. 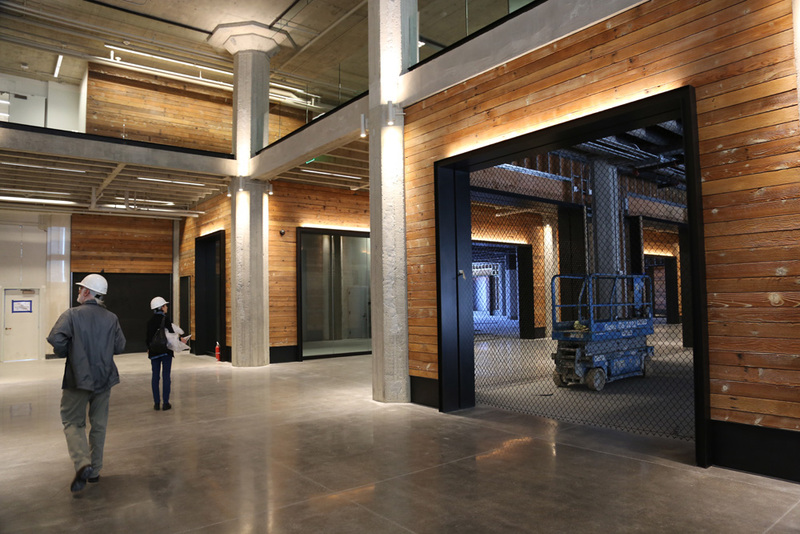 Reclaimed wood walls, blackened steel portals, and operable grill-work gates are used throughout the public spaces. 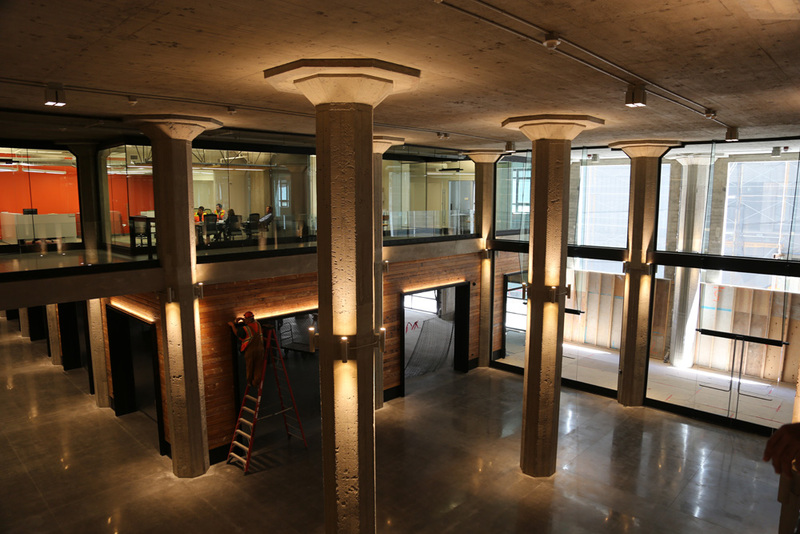 The iconic concrete columns were restored and exposed to remain as space-defining elements of the interior, additional windows and entryways flood light on them and the double-height market hall they support.